This is actually the highlight of my first solo travel ever. 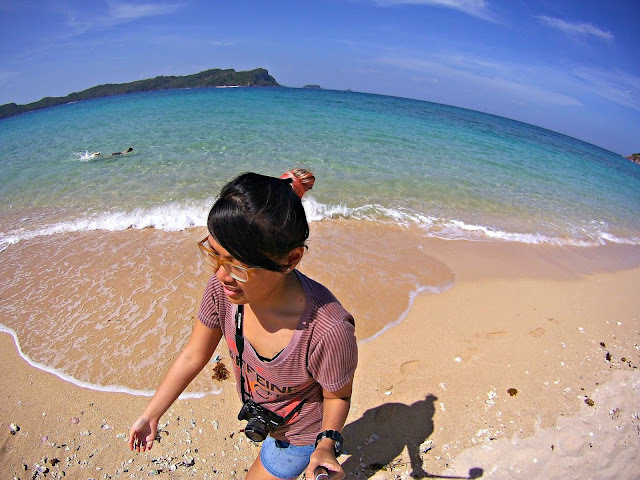 Remember my trip to Roxas City and how it almost didn't push through? It was indeed a memorable one as I've experienced a lot of first times. I was even adopted for the night by my father's friend that's living in Roxas. The locals are indeed very nice. 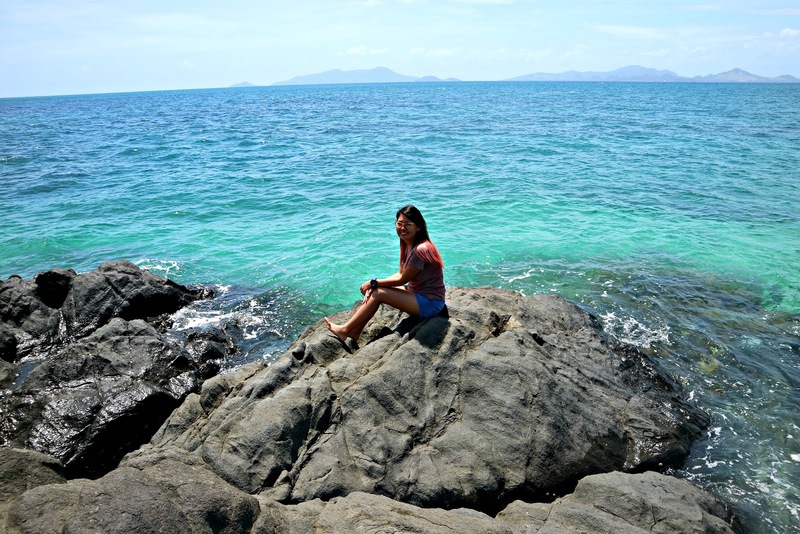 I also got to see many visit-worthy places in Roxas. 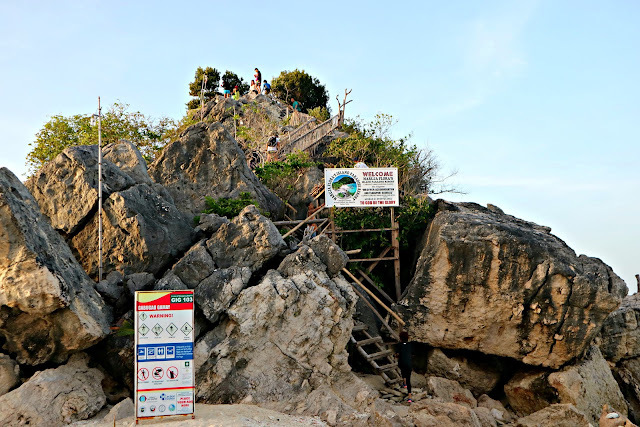 If you're not familiar with Isla de Gigantes, it is an island located at Carles, Iloilo, the northernmost part of Iloilo. Most of the tourist that I encounter going there is from Bacolod and Iloilo. I seldom see Manileno's come there so I assume this is not yet as popular as other tourist destinations for the Manila locals. And actually, I want it to stay that way to prevent it from being so busy that it might be hard to maintain after some time. Isla de Gigantes or sometimes called Gigantes Island is composed of mainly two islands which are Gigantes Norte, where most of the resorts are located, and Gigantes Sur where most of the Gigantes locals stay. 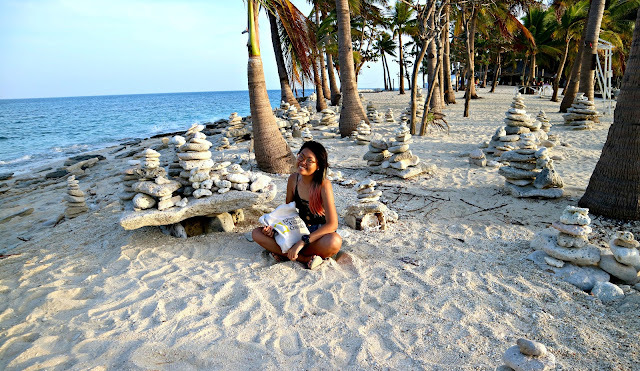 We stayed at Gigantes Sur and it is one of the longest night of my life. Lol! There are two ways to go to Isla de Gigantes when you're coming from Manila. 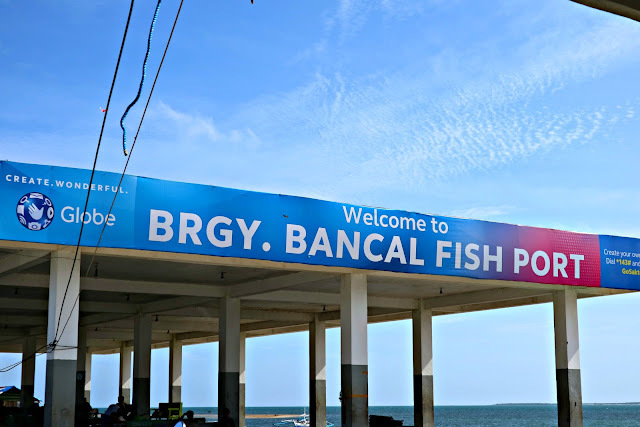 It's either you take the Roxas route, which is the best way because it is nearer to Bancal port, or take the Iloilo route wherein it will take longer as you will take Estancia Port that is 4 hrs aways from Iloilo center. If you're taking the Iloilo route, be sure that you have a lot of time in your hands and be prepared with the long travel time. Lucky me, I was escorted by my father's friend, Ms. Liz to Bancal port the next day after my tour in Roxas City. They brought me to the port and even bought 2 liters of water that I can bring with me. Hospitality at its finest! Since I was doing this as a solo backpacker, I opted to get a tour package because I know this is how I will get to save some bucks. I paid P2350 for the accommodation, island hopping, all meals included, tour guide, and entrance. I think it is already cheap compared to what I inquired to some other resorts. Take note that I am a solo traveler hence, the prices are a little higher compared to what is normal for people traveling in groups. So there, I reached Bancal port. I immediately looked for the contact person. I was the only one traveling solo so it's quite hard mingling with other people as they are busy talking with their own groups. 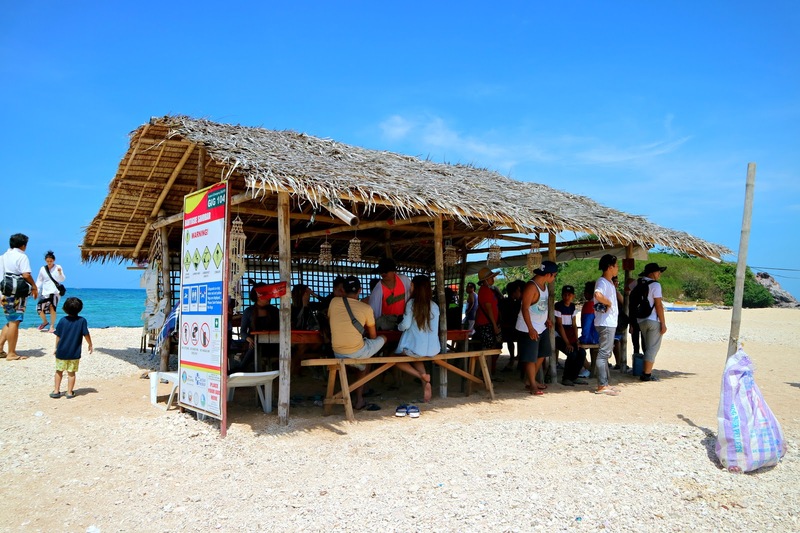 Fortunately, there is one group from Bacolod that offered I stay with them for the rest of the tour as I am "alone". I haven't gotten their contact details or even their Facebook accounts. I also forgot their names. I am a terrible friend. Sorry guys! huhu. But if ever you get to see this post, hi guys!!! 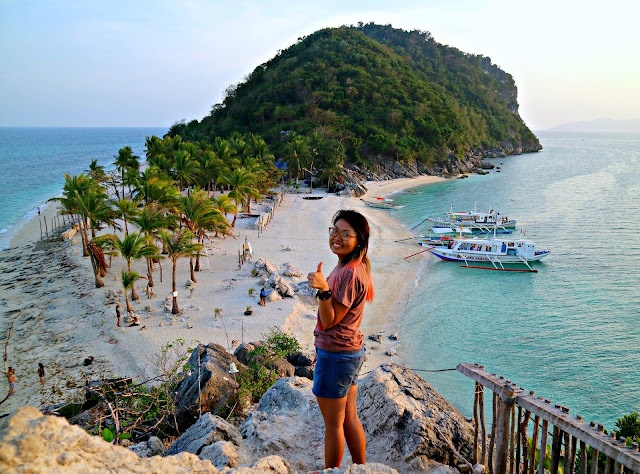 Before we go to the main Isla de Gigantes, we used the day to do our whole day island hopping wherein if you will ask me is super sulit! 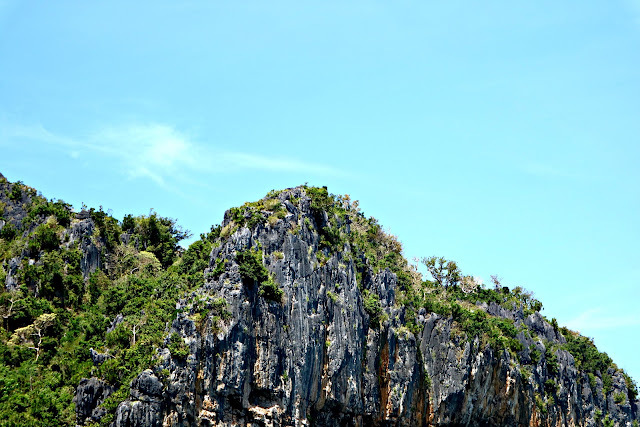 There are many islands to see around the Gigantes Island. And you know what I liked the most? 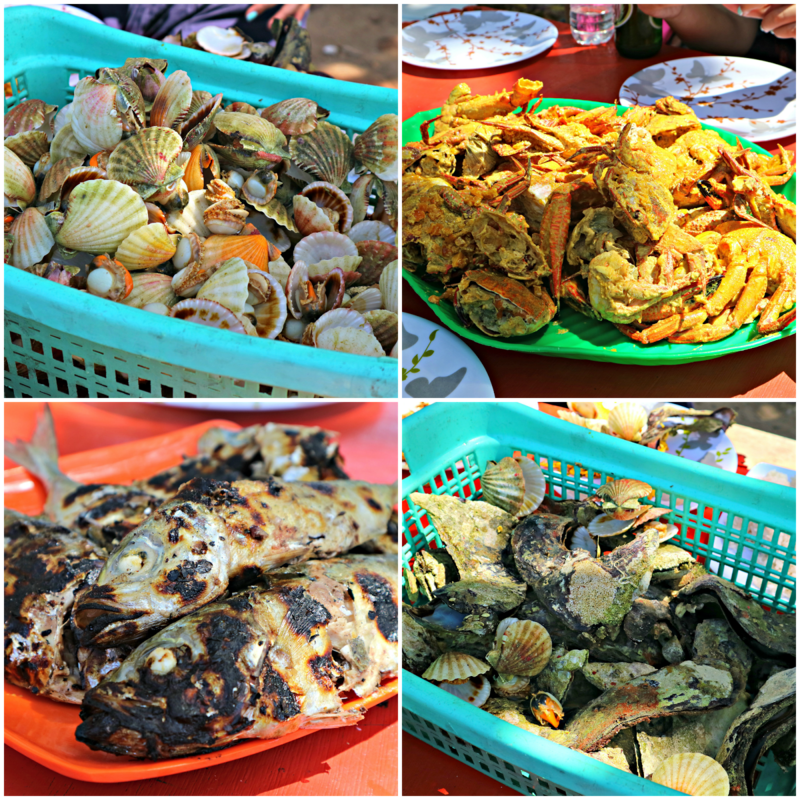 our UNLIMITED SEAFOOD LUNCH!!!! Yup, unlimited and seafood in one sentence. I know, I know. Just by writing this makes my heart want to go back just for the plates of seafood. 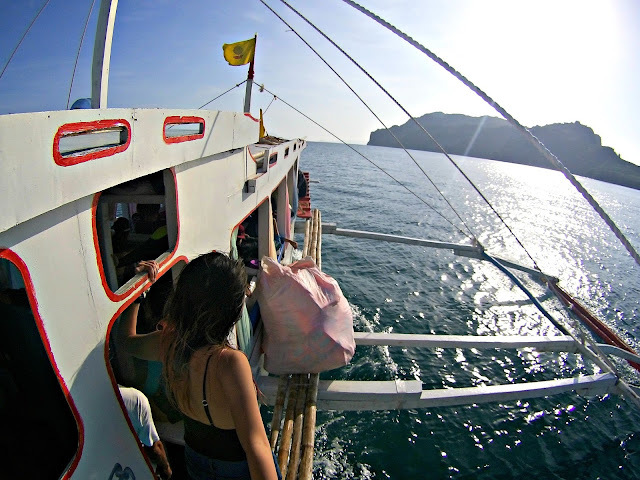 Let me tour you around Isla de Gigantes Island Hopping! First stop, Pulupandan Island. 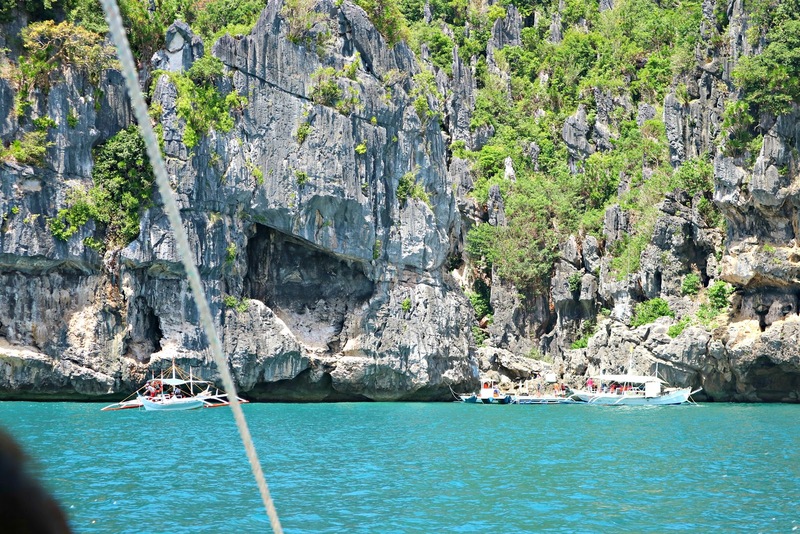 In here, the rock formations are the main attraction.. well aside from the crystal blue water, the rock formations here are amazing. There's a coconut tree in the middle that has survived the Yolanda wrath (Typhoon Haiyan). 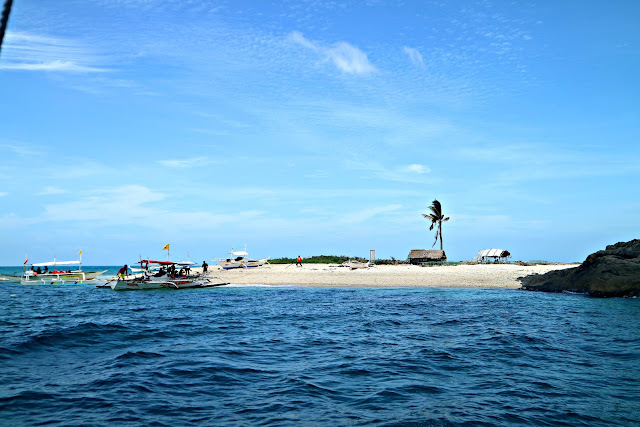 Our next stop is the Bantigue Sand Bar. If I just have my own drone then this will be the perfect spot for it. 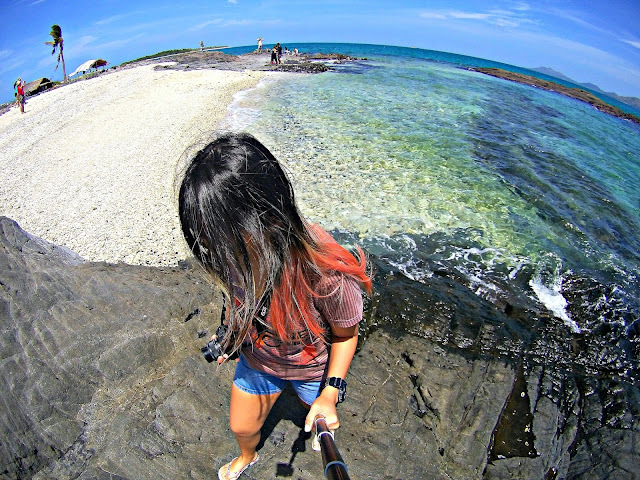 The water is sooooo blue and the sandbar is a very long stretch that has a view of two different rock formations. This is where we also ate our lunch. We had fish, scallops, crabs, oysters, rice.. and everything is unlimited! I only had one problem though.. I had mumps that time so it was hard chewing the food.. If I didn't have it back then, I would have probably stuffed myself to death. Seafood is love. And to top it all off.. it was super fresh! Right after lunch, we went straight to visit other islands. 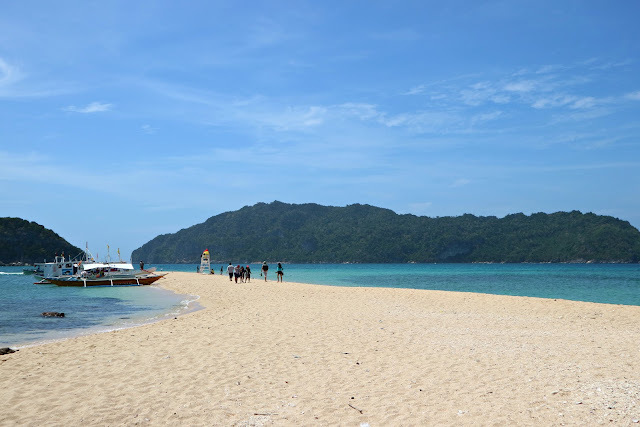 We visited Antonia Beach, Calumpang (dubbed as mini Boracay), Tangke Salt Water Lagoon, Cabugao Daku, and lastly the most famous of them all, Cabugao Gamay. Calumpang was said to have white sand as fine as Boracay's. I don't know how true this is but the island is just small. I think none from our group went down to experience it. We just took photos and all stayed in the boat. 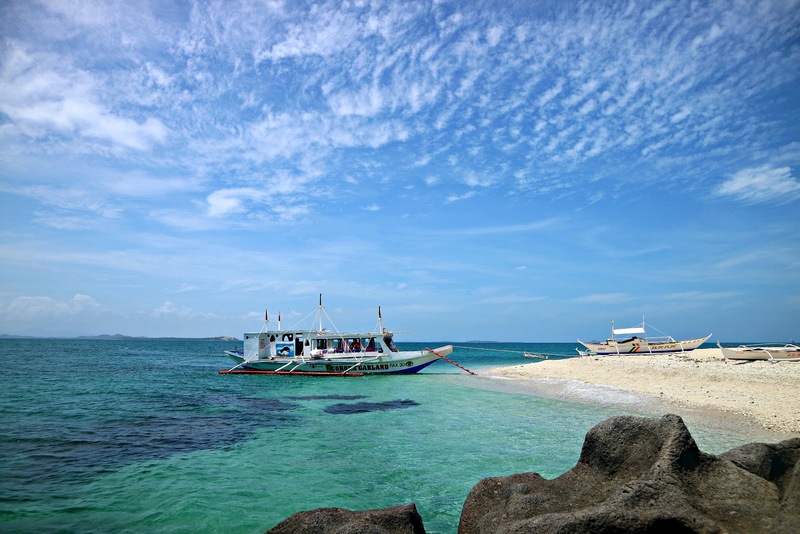 Antonia Beach, on the other hand, is the home of many activities around Isla de Gigantes. You can snorkel, rent a banana boat or rent a jet ski. Most of the other groups are busy taking photos and swimming while I opted to go back to the boat. And just as I was going back, I met these 3 Chinese guys together with their girl friend that I also forgot the name. HUHU. I'm terrible at names. Dang! They asked me if I want to join them for the banana boat ride and wow, it was one hell of a ride. Lol! I'm glad I didn't fell off the banana boat. Staying strong! haha. We also tried and took turns riding the jet ski. Tangke Salt Water Lagoon is like a mini Kayangan Lake only that the water is not that clear. There are people cliff jumping in this area. And lastly, our last stop was Cabugao Gamay. 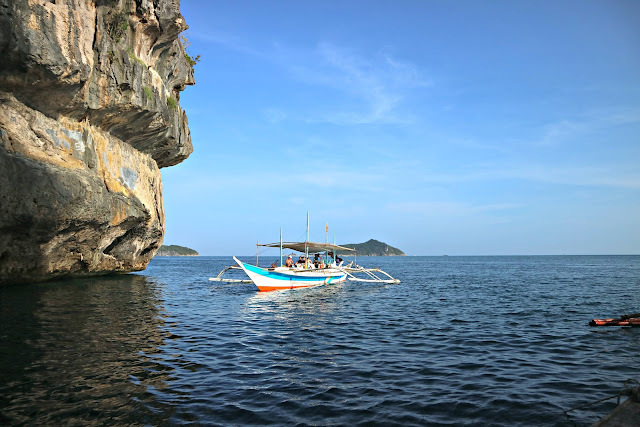 This is the famous Instagram place and the best place to catch the sunset if you're around Gigantes Island. There's a clear view of the whole island on an elevated part. 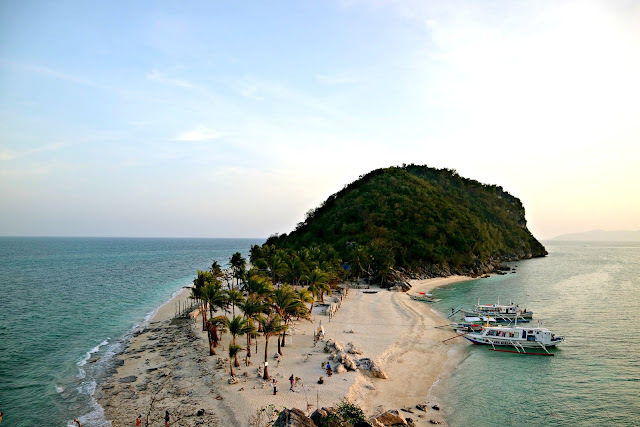 Most people have mistaken this place as Isla de Gigantes. But no, it's actually called Cabugao Gamay and the Isla de Gigantes we're referring to is not even a tourist destination. 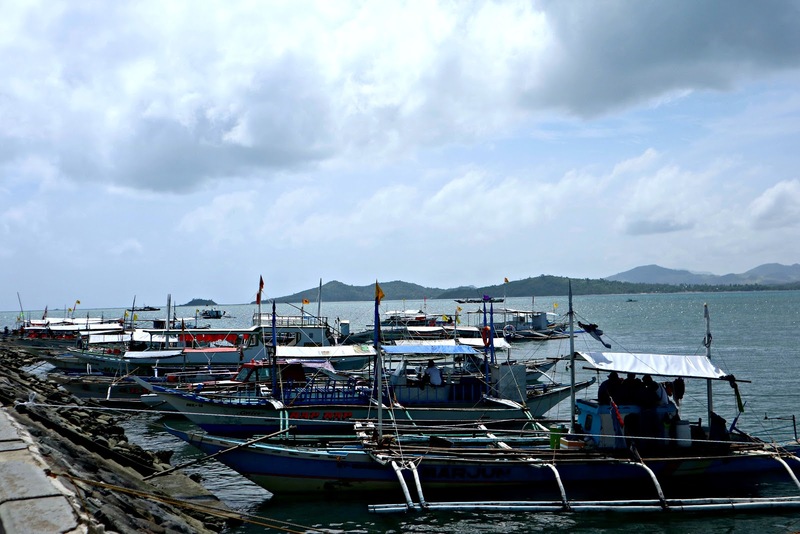 It's just the place where resorts place accommodations for all these island hopping stuff. It was indeed a tiring day but it doesn't end there! Once we're done taking photos at Cabugao Gamay, we went straight to Gigantes Sur because this is where our accommodation is located. The accommodation we had is like a bahay kubo type wherein if you will ask is okay with me. What I didn't like though is that it didn't have any blankets! And that I only figured it out when everybody was asleep so there was no one I could ask. I am the type of person who can't sleep without a blanket. This is like the longest night ever as I couldn't sleep. No blankets, and since it's a bahay kubo type, the temperature outside can easily be felt inside. And it was soooo freaking cold! I can also hear the curtains slamming the thin wood facade of the bahay kubo. Super scary! I remember finishing all the songs in my playlist and I haven't had a deep sleep yet. Glad I survived! But of course, before we retire for the night, there's a mini socials. Our dinner was calamari and again, scallops. There's also a karaoke machine but it sounds kinda rusty already. Lol! And it was old school too... you need to drop in P5 for every song you want to sing. haha! The next day, since I wasn't able to sleep well.. I was one of the few who woke up very early. Which is also okay because I had to leave earlier than the others because my return flight to Manila is at 4 PM and if I will leave at 10 am, the same with others, I might not be able to catch up with my flight. I packed my bags and ate breakfast then the tour guide went with me to Estancia terminal. The others who are left had the chance to visit Pawikan Cave. Huhu! But it's better than missing my flight.. so yeah.. okay. We arrived at Estancia at around 10 AM then from there, I had to take a van going to Tagbak Terminal in Iloilo. Travel time? 4 hours. 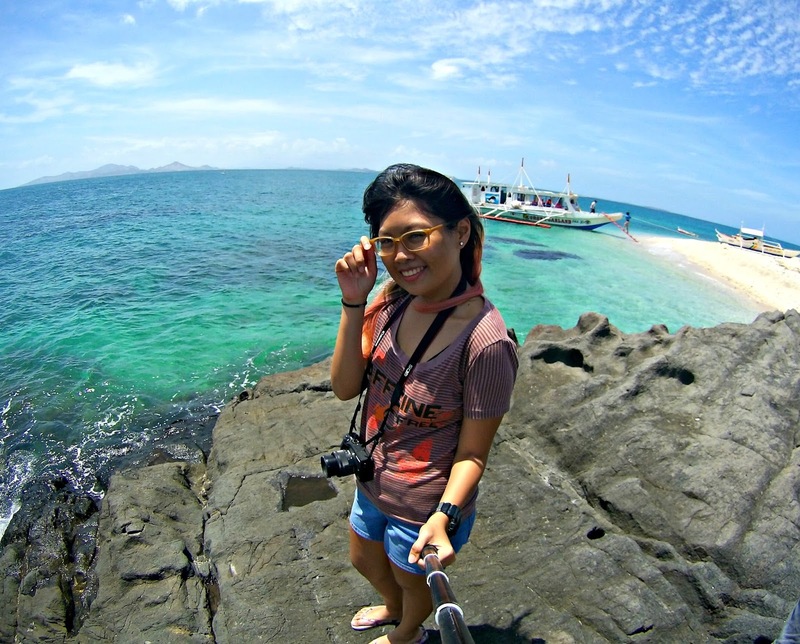 That's why it's advisable to take Roxas whenever you're going to Isla de Gigantes because it is much nearer. I was able to get some sleep during the ride to Tagbak terminal. I arrived at Tagbak at around 2 PM then I went straight to SM Iloilo because that's where the van to the airport is. I roam around the mall first and bought some bread to eat that will also serve as my lunch. My flight to Manila was a bit delayed though but I arrived safely. Yey! I thought I would be able to roam around Iloilo before my flight but guess time can't really permit it. This is one memorable trip. There's just so many things I learned and I discover. Not just from the surroundings but also to myself. I learned that I am not a good traveler yet because I still can't sleep without any blankets. Well, it might be something shallow but you know.. this is something I really can't live without. Lol. It's also a bit sad and I sometimes get homesick because I am alone! huhu. Maybe because this is my first time and I am not really comfortable but you get the point, right? On the positive side, I was able to meet new people wherein if you will ask me is a tough one because as an introvert and a super shy person, it's really a challenge I need to do on my own. There's no one to do the socializing for me. The whole experience was also fun! I knew my limits when it comes to traveling and that there are always the pros and cons. Will I do this again? Definitely. I want to try traveling internationally alone. But I think it needs a lot of preparation. Emotionally, mentally, physically, and financially! haha! Wow! 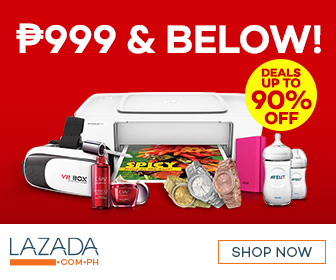 Your images are simply breath-taking and capture the ambience of the islands perfectly! 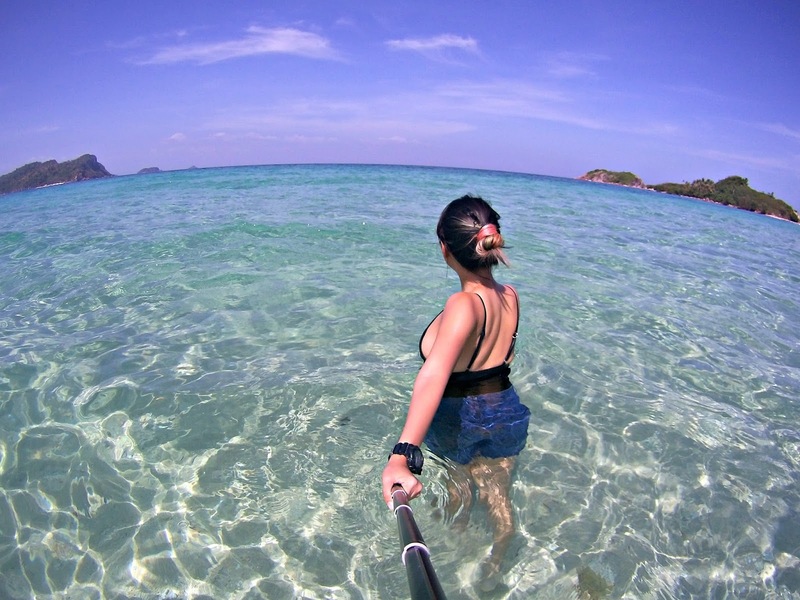 My partner and I are planning our honey-moon and although we haven't considered the Phillipines, your images make it look like a tropical dream! First of all your photos are magnifique! 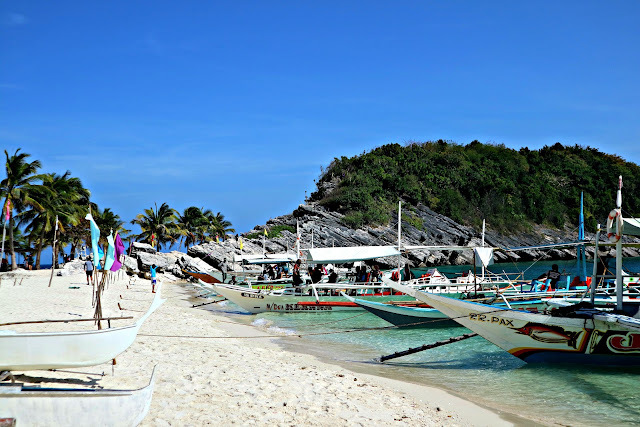 You made me want to go to Iloilo and check Isla de Gigantes. I think I've heard of it somewhere already but you're photos really pushed me to plan a travel. Happy you met a lot of people and that you got back in one piece! Thanks for sharing! I admire you for taking a courageous solo trip to a very exotic place! This is an item that I've been wanting to tick from my bucket list. What can I say to this still? The place is truly magnificent and that unlimited food is truly a wonder! I may not be much of a fan of seafood but that's truly a good thing! 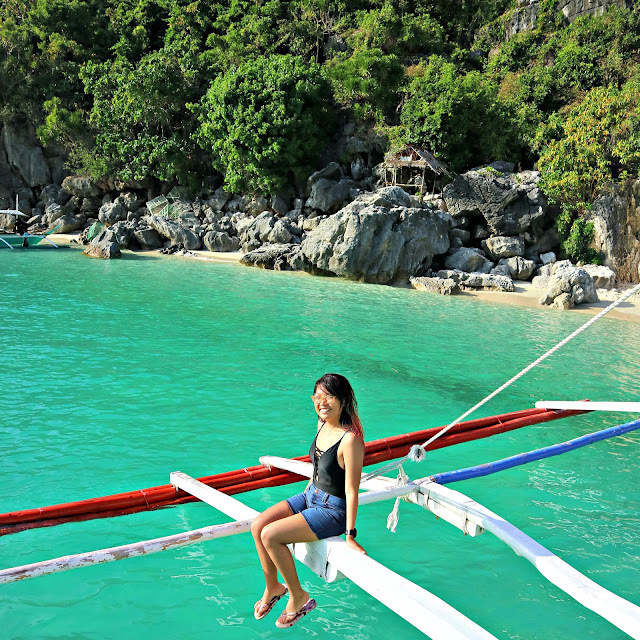 Isla de Gigantes is so breathtaking! Every photo you posted is just mesmerizing. My friends are there right now and they are flooding my IG feed but I can't blame them because it's really beautiful over there. And I'm glad it's still unspoilt. I do hope it will be that way forevee. Also, unlimited seafood lunch??? Take me there! Waaah... I've always wanted to go here. It looks so stunning! And clam shells for lunch that doubled my eagerness to go here. I think I know now where to use my flights. The first thing that struck me was your bravery to travel alone. I have never done it, even though I wish to plan a trip all by myself one day. Until now, it didn't happen. I hope it will. The second thing that came to my mind is the beauty of the island. It is so wonderful, with all of its natural beauties, and almost untouched nature all over it. 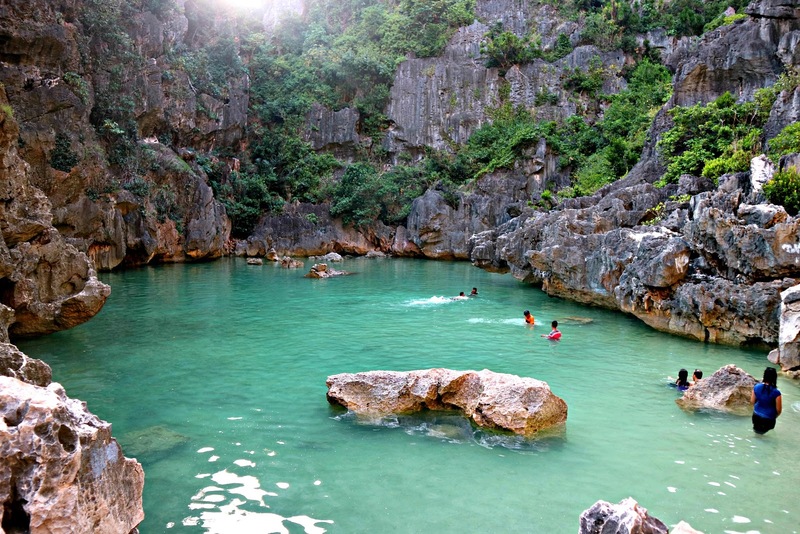 Iloilo would be my destination too if I were to travel somewhere alone. Your pictures are amazing. Every stop is totally breathtaking. I just hope I can travel the country even with my little one. My concern when travelling with a baby is that it would be difficult to island hop just what you did. It looks easy when you did it but from my point of view, it would be hard especially if you're bringing an infant. Wowwww 😍😍😍 this place is so beautiful!!! Def going to try to book flights here. OMG! inggit ako travelling alone. I plan to do that next year travel around Mindanao. Hopefully mangyari. I love the Gigantes Island, (hindi pa ako naka punta) LOL! but i saw Lissa Kahayon's IG or blog (I kinda forgot hehe!!) that she went there. It's so nice.